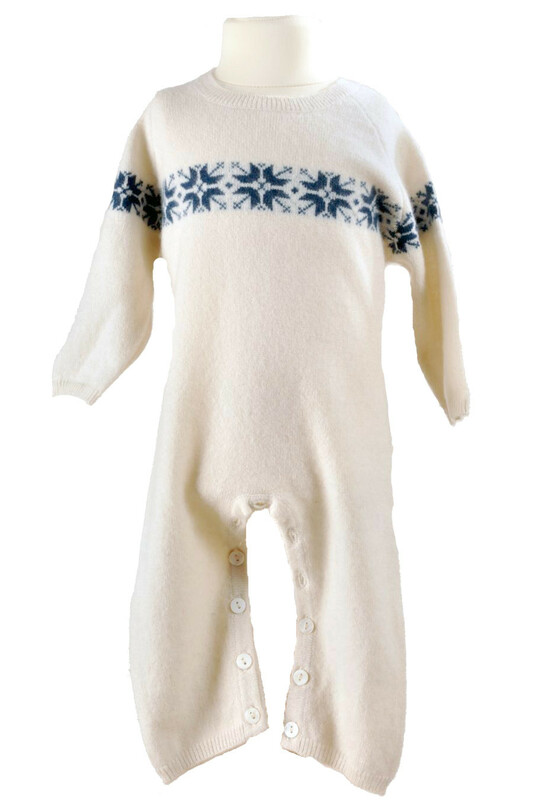 Superb child cashmere jumpsuit, decorated with a frieze starry chest. Dress your baby in winter colors, and let him enjoy an incomparable sweetness and warmth, with breakthrough thermal properties of cashmere. This jumpsuit is equipped with pearly buttons between the legs for easy dressing.